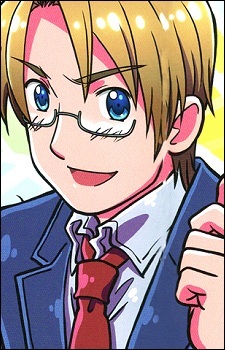 America "Alfred F. Jones, United States"
The imaginative universe of Hetalia comes alive in its games. Characters assume the personality of real world nations. The mission is to get everyone together and gain a deeper understanding of the various cultures. A noble concept! Top 10 Hot Male Characters From Hetalia! Hetalia is a webmanga, later adapted into an anime series in which the characters are personifications of over 60 countries from around the world. Here are the 10 hottest male characters from Hetalia! Generally, one doesn’t think of a country and pair it with the word cute, but Hetalia Axis Powers changes that. Now countries can warm your heart and put a smile on your face. Let's take a look at ten of the cutest moments in Hetalia!